Hey everyone! I hope you are all having a great week so far! I'm slowly starting to get back into the routine of things. I can all ready tell that it is going to be a great semester with all of my design classes! In other news, the Holiday Catalog goes live tomorrow! I know you are going to love it! If you need a copy be sure to let me know. I don't have any fun holiday stuff to show you today, as I am still giving some love to stamp sets in the Annual Catalog. 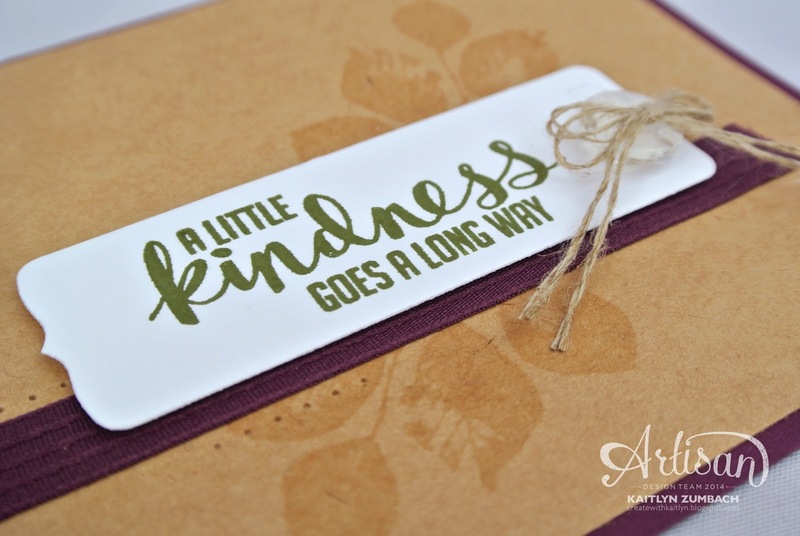 The card I have to share with you today is super simple and cute and is quick to make! I used the Kinda Eclectic stamp set for this card. This is such a great stamp set! It is great for over the top projects and simple cards, like this one. 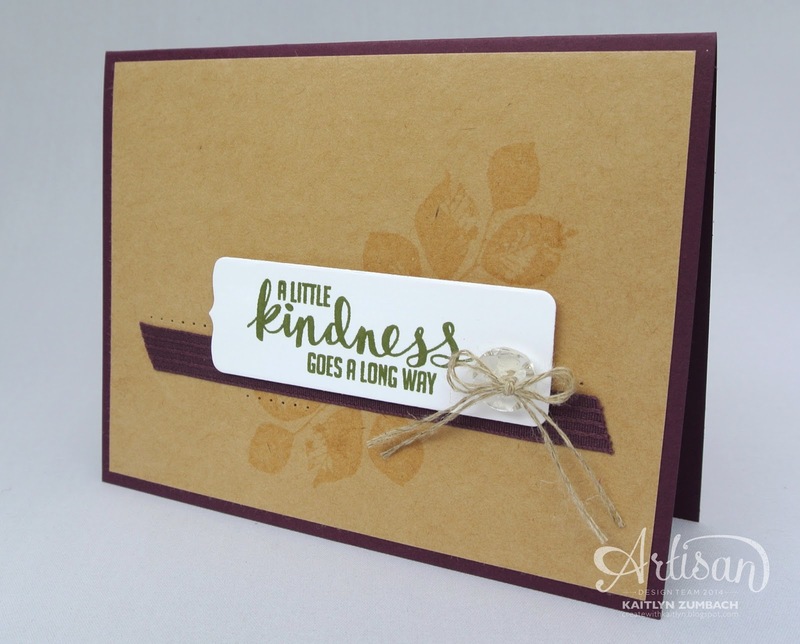 If you haven't gotten any of the new Kraft Card Stock yet, you really need to! It is a great neutral color, it has a great texture to it, and can be stamped beautifully. Here I stamped the leaf image twice in Versa Mark for a great watermark effect on the Kraft Card Stock. The Blackberry Bliss Stitched Satin Ribbon provides a nice touch of color and pairs perfectly with the Kraft Card Stock. A simple Vintage Faceted Button and doubled Linen Thread bow make this card complete. I added a little bit of paper-piercing for some subtle details. Everything on this card works together to create something that is really pretty and special. Don't forget to stop by tomorrow to check out the newest Artisan Blog Hop, and watch for an exciting new program I'm starting on Friday!